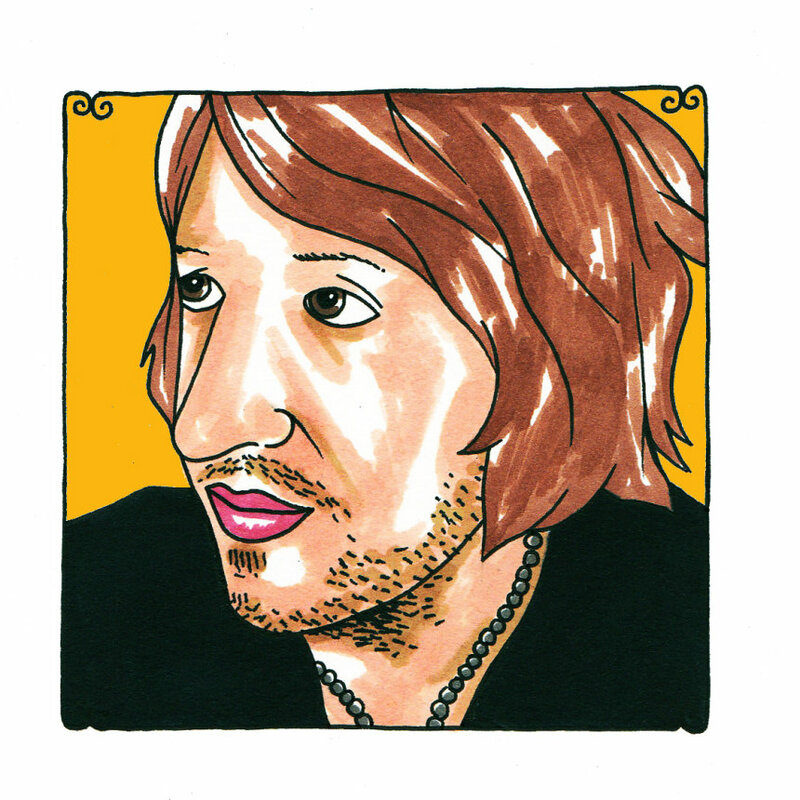 The night that Joseph Arthur taped this session last winter was one of those nights when everything just pours out. He'd driven in from Minnesota the night before and - with the night off from gigs and nowhere really to go or to be - he settled in with his guitar and these words that he'd written. He seems to have an endless supply of them - these songs that are incredibly meaningful to him and of a place that has no borders. He spent hours and hours in the basement of the old, turn of the century elementary schoolhouse, messing with his effects and loops pedals, standing there, lanky and disheveled in that gypsy way that he's mastered over his forty years of life, with those big boots floppy and zipped down the sides. He exemplified that cracked, harvest moon-colored safety light spraying its lazy color down upon the ground from its drooping perch, where it's always hanging out in the rain and the snow and the biting winds, losing its paint and its time. He five or six songs that evening, packed his stuff up and - we believe - sleepily trudged over to the casino hotel, where he resided for a few hours before deciding that he had more he wanted to say. He felt that it was an incomplete performance and so, he returned to the studio with more songs about freedom and the ties that bind, the love or the lack of that binds. "Horses" is a song that could have been a b-side from Bon Iver's latest album, perfectly between "Holocene" and "Michicant." He's the kind of man who seems to have learned how best to deal with any suffering that comes his way. He's got a faith in the rains never lasting forever. The overcast skies might be another matter altogether, but he's prepared to deal with those however they need to be dealt with. Without being penned in or pressed too hard, he believes that - with the right person in his corner - they might be able to just roam far enough around the clouds, to avoid the greatest of their wrath. And if not, well, he hasn't gotten that far yet. Here's to hoping. Here's to the long walk that it will take no matter what.